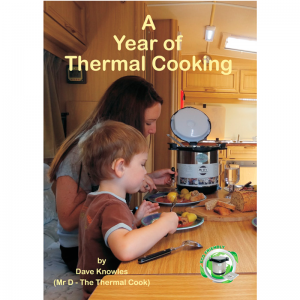 Buy Aeroaddict from the publisher, Little Knoll Press, to maximise the author’s royalties. 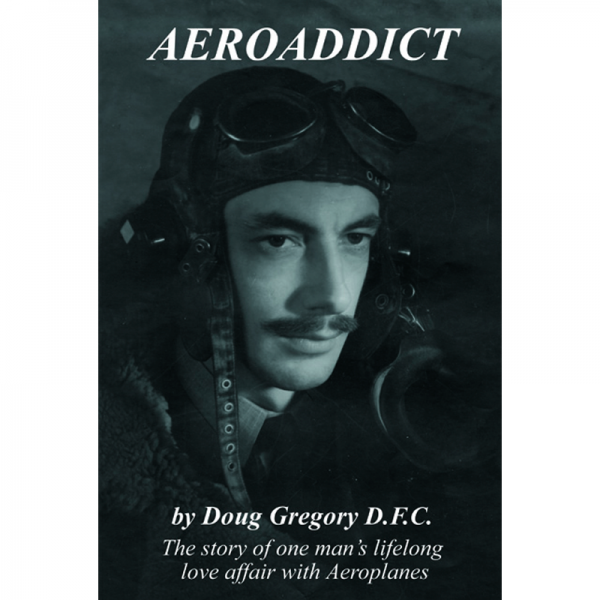 Now in the third print run, the book has added tributes to Doug who sadly passed away on 12th April 2015 AEROADDICT – the story of one man’s lifelong love affair with Aeroplanes. 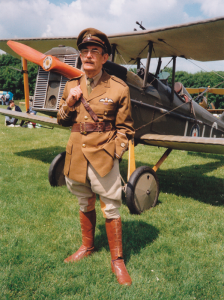 Doug in WW1 uniform standing by his SE5a. Doug Gregory has written AEROADDICT, a fascinating book about building his own WW1 aeroplane, an S.E.5a, in his back garden and flying it with The Great War Display Team. 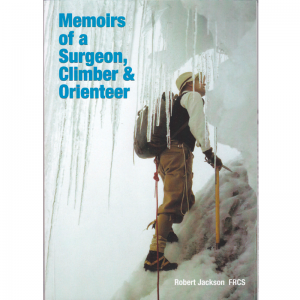 AEROADDICT was published in 2013 when Doug’s wife, Liz, as well as the relentless passage of years (Doug had just passed his 90th birthday), persuaded him to hang up his flying helmet and goggles and get his memoir out there. 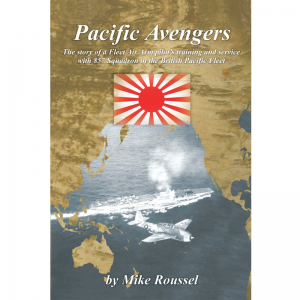 Doug’s book takes the reader through a lifetime of flying – from his recruitment to the RAF and service as a night-fighter pilot during WW2 (for which he was awarded the D.F.C. 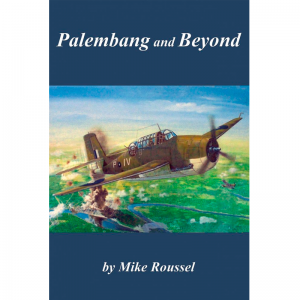 – Distinguished Flying Cross), to keeping his passion going during the time he was teaching by flying old Austers and Tiger Moths to tow gliders up into the air, and, since his retirement, the building and flying of his S.E.5a. 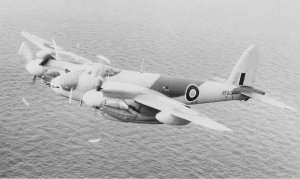 A Mosquito flying over Gibraltar. 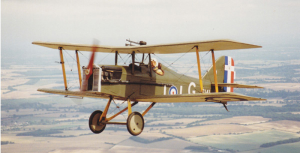 AEROADDICT includes 41 of Doug’s original photographs, from his earliest flight from Eastleigh Airport in Prince Henry, a Handley-Page W8, to the numerous craft that he flew during his time with the R.A.F. (including the iconic Spitfire with its Merlin engine), and of course of the building and flying of his S.E.5a. 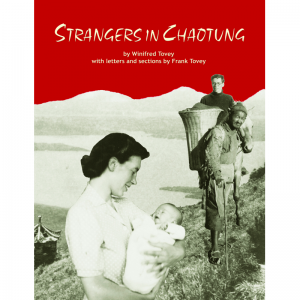 After the war, Doug taught Art and Drama at the Waterside Schools, Holbury and Noadswood, hardly surprising when you read his well crafted book and the wonderful original poems it contains. The poem ‘Engines’ evokes the throb of the Merlin engine on the lonely, cold, night-time Spitfire flights across the English Channel. 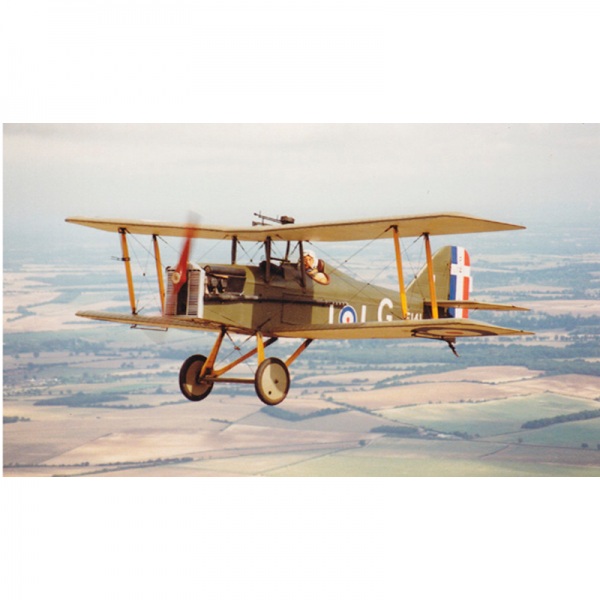 After building his SE5a, Doug founded The Great War Display Team in 1988 and flew with them for 25 years, looping the loop, climbing and diving in daring dog fight re-enactments. The book is illustrated with over 50 photos. You don’t have to be a flying buff to appreciate Doug’s story. 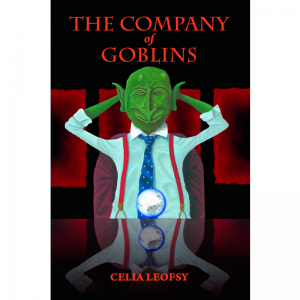 It is full of wit and humour, but not without its thought-provoking side – you will enjoy the journey.